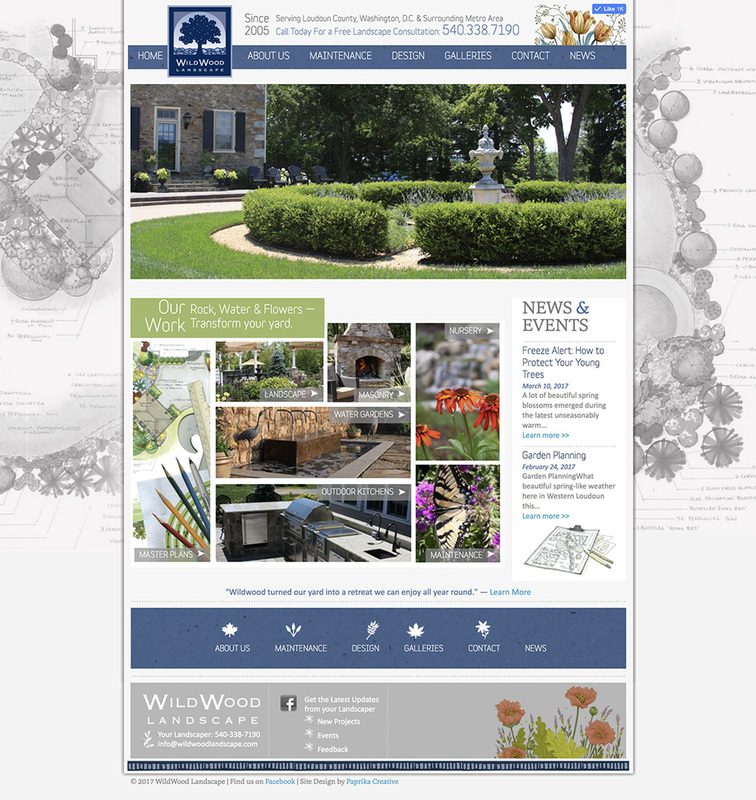 Wildwood Landscape is a landscaping company based in Loudoun County, Virginia. They are recognized all over the DC metropolitan area for their expertise and high-end landscape projects. 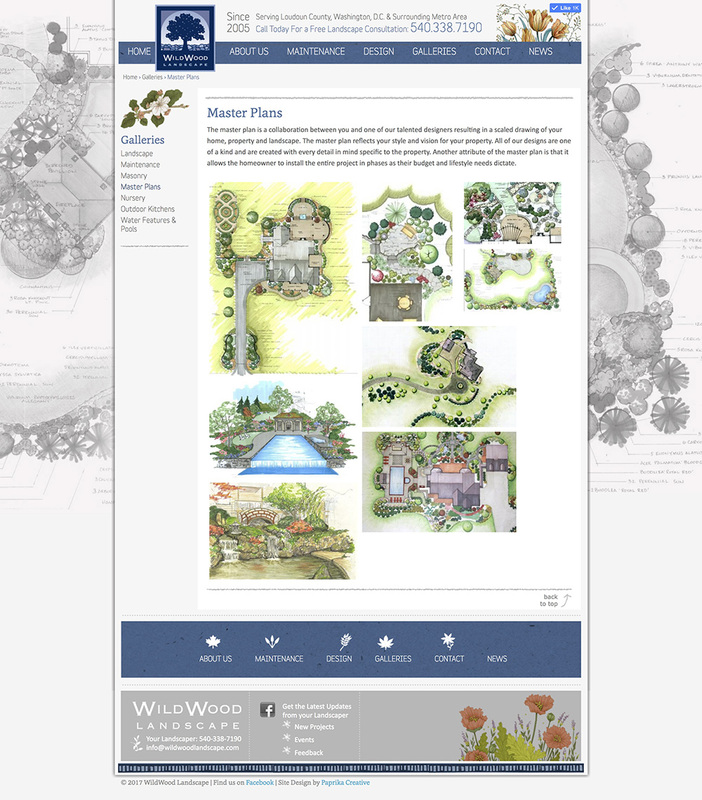 We collaborated with the designer and illustrator, Maria Nicklin, with Furyworks on the unique illustrations and marketing for Wildwood. The website is built with the Drupal content management platform. It is an easy to update website for the client. 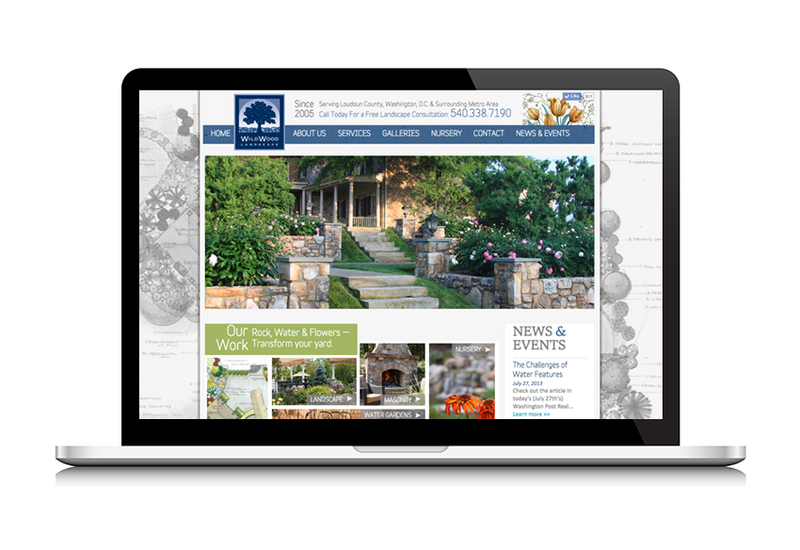 This has been one of our favorite website projects because of all the extra little details throughout the site. From the bottom navigation using small landscape icons, the use of Jason Dengler’s beautiful hand-drawn plans, and Maria’s hand-drawn illustrations. Be sure to check it out – we can’t show you everything here. You need to experience it for yourself.